30. Let’s Make It Work. [MST3K. 703. Deathstalker and the Warriors from Hell.] — It’s Just A Show. Deathstalker and the Warriors from Hell deathstalks Adam and Bethstalker as they deathtalk about fonts, swords, sorcery, batches, and Ren Faires. Huzzah! Deathstalker and the Warriors from Hell: IMDB. MST3K Wiki. Trailer. A Men without Hats video. Deathstalker II and Deathstalker IV: Match of Titans. Wikipedia’s list of sword and sorcery films. Satanic Pandemonium on sword and sorcery films. Conan Exiles and its silders. 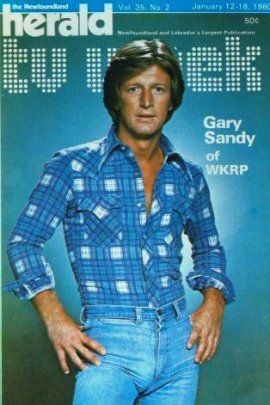 Gary Sandy’s batch played Andy Travis’s batch in WKRP in Cincinnati. The 1920’s college kids in their crazy fashion. The Society for Creative Anachronism. Kevin Murphy on Ren Faires. A bonus bit, with more about the Deathstalker movies, is available as a thank you to our Patreon supporters. Subscribe to It’s Just A Show via Apple Podcasts | Overcast | Google Podcasts | Spotify | RSS.